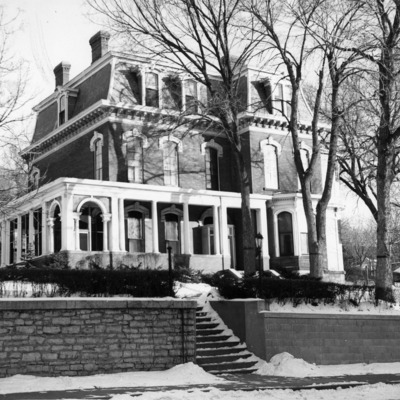 Documents, letters, papers, and other materials related to General Grenville M. Dodge and family. 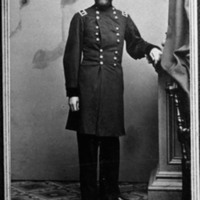 Photograph of Grenville M. Dodge in Civil War uniform. 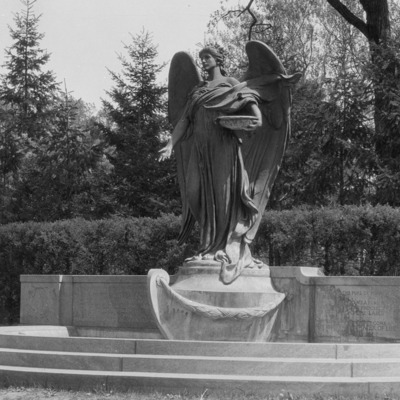 Six Photographs of the "Black Angel" Ruth Anne Dodge Memorial at Fairview Cemetery in Council Bluffs (Iowa). 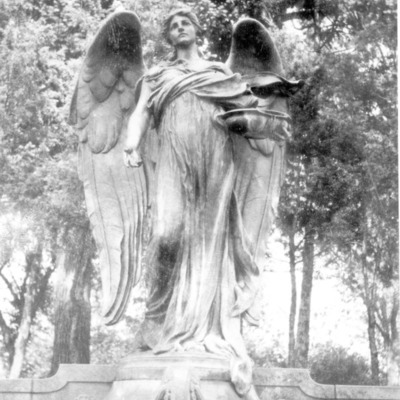 Photograph of the 'Black Angel'. 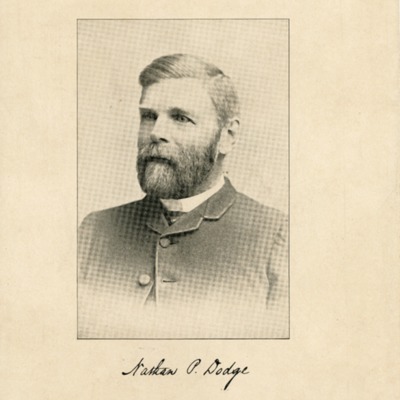 Ruth Anne Dodge Memorial at Fairview Cemetery. 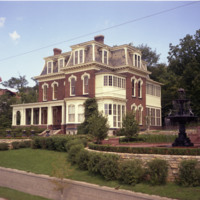 Photograph of the Dodge House in Council Bluffs, IA. 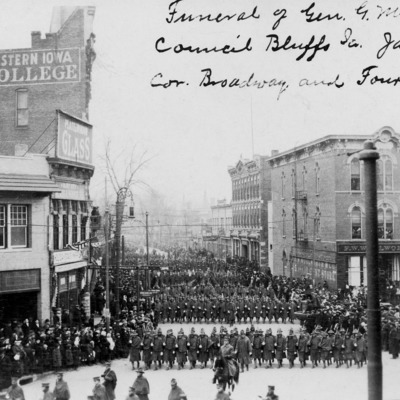 Postcard photograph of General G. M. Dodge's funeral procession. 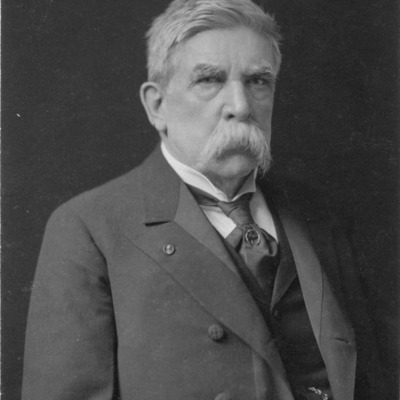 Portrait of Grenville Mellen Dodge. 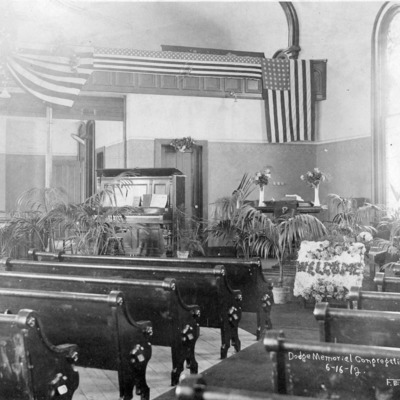 Printed on back of image: "Sherraden - Photographer. 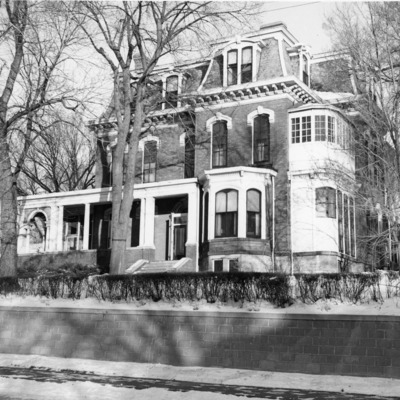 314 Broadway. 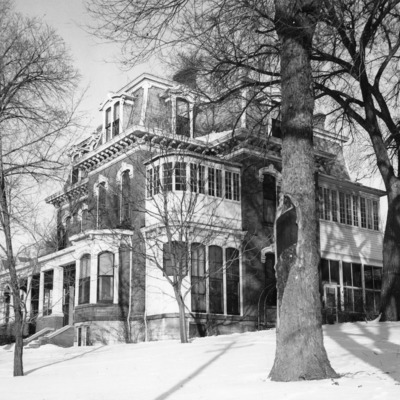 Council Bluffs." and "55 yrs old approx - J.R. Perkins. " 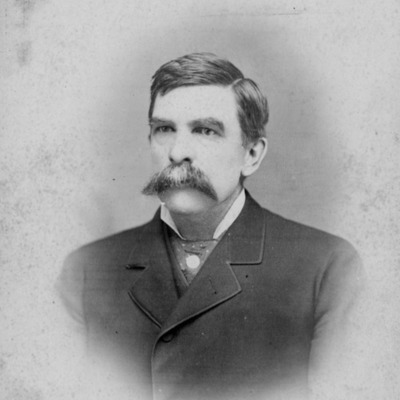 Photograph of Grenville Mellen Dodge. Engraved portrait of Grenville Mellen Dodge. 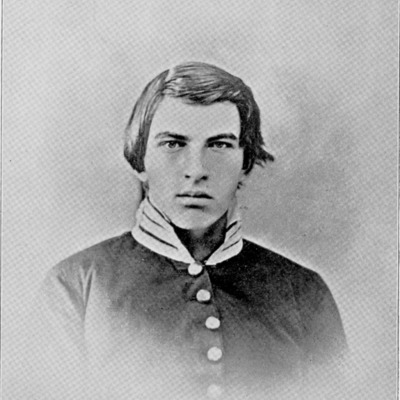 Reprint of a photograph of Grenville Dodge as a cadet at Norwich University. 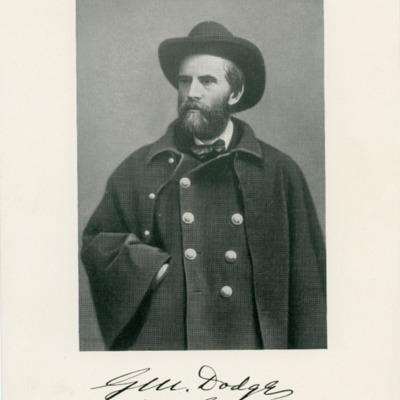 Reprint of a photograph of Grenville Dodge in Civil War uniform. 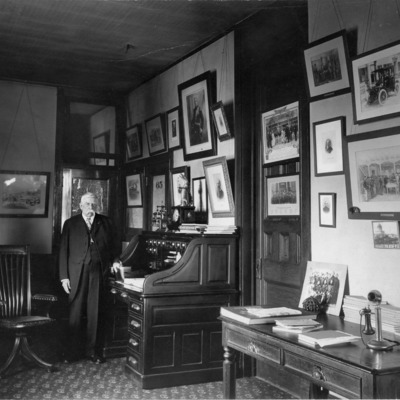 Photograph of Grenville Dodge in his office in the old Council Bluffs Savings Bank. 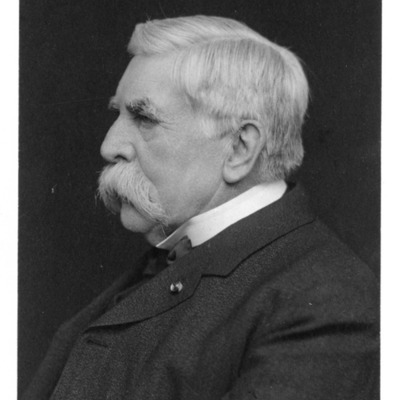 Portrait of Grenville Mellen Dodge in profile. 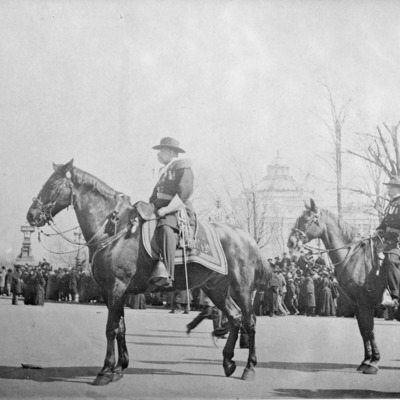 General Dodge as Chief Marshal of military division of the Inauguration parade, March 4, 1897. Washington, D.C. 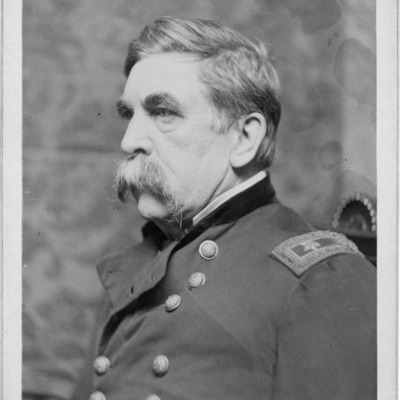 Photographic portrait (profile) of General Grenville Mellen Dodge at age 55. 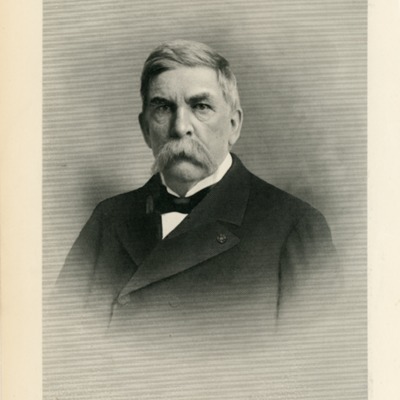 Portrait of Nathan Phillips Dodge (NP Dodge), Early Citizens of Council Bluffs. 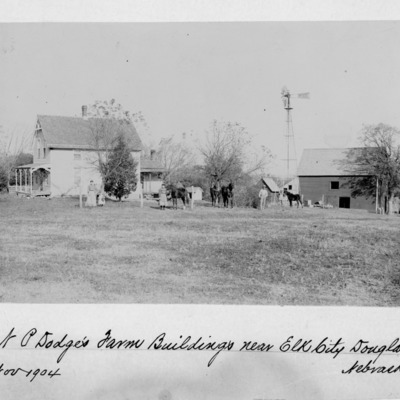 Photograph of N. P. Dodge's farm buildings near Elk City, Nebraska.